The pungent aroma of over-roasted coffee beans welcomes me, but I don’t care because Coffee Bean is the home of my favorite yellow armchair. In all of its worn-down glory, the yellow armchair places me in my zone; the very second I sit in it, a switch ignites in my limbic system enhancing my executive functioning skills to, for example, complete a whole week’s worth of work in just 4 hours. I love this coffee shop because of the yellow armchair and the yeasty, intellectual curiosity that flowed through my soul when I sat in it—the yellow armchair is my throne. A few months ago, an intruder walked into Coffee Bean dressed in a “Black Lives Don’t Really Matter” T-shirt and other obtrusive paraphernalia: I had met my match. You see, every Tuesday, Thursday, and Friday at exactly 4:35 PM, his schedule always found a way to coincide with mine antagonistically, connecting two people who are starkly (well, for lack of better words) “unique.” Week after week, he somehow found a way to always sit in my yellow armchair instead of all the other empty seats surrounding it. The result: inefficient studying. I would go to Coffee Bean early at 4:25 PM to race my competition to the chair. On your mark, get set, go! Our schedules did not clash; rather, they were reactive. Like pouring water into acid, it resulted in a series of altercations, albeit passive-aggressive in nature. 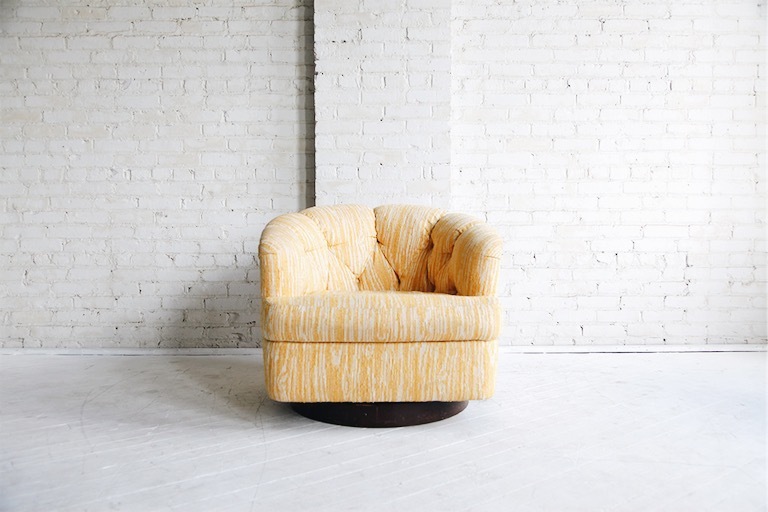 These altercations surrounded (you guessed it) my favorite yellow armchair. Even Mendeleev and his periodic table could not intricately organize two diatomic atoms together in an attempt to make this habitual encounter progress smoothly. This was a race that he and I would partake in daily. I hated it. But one day, during sophomore year, everything shifted. I crossed the finish line first; I closed my eyes and raised my tightly coiled fists in suppressed jubilation. Huzzah! My celebration was cut short; My Our chair was taken. In fact, every single chair in Coffee Bean was taken that day besides two wooden chairs facing each other. We both sat down. I remember conducting a staring contest with the strange man facing me. God, he’s thin. My eyes immediately focused on his corroding cheekbones; his face is rusted with years of despondency. Silence. More Silence. The chair alleviated that unrelenting, unnamed heaviness in us that typically progressed with disillusionment—a byproduct of being a human. Nevertheless, I fundamentally attributed negative qualities to a man who I thought despised my chocolate skin. A man who I raced to the chair. A man who I saw three days a week, and yet I never graced with a smile. A man who sought comfort in that yellow armchair, a comfort we both shared. A man who, the closer in proximity he came, the further his cognizance seemed to drift away . . . He did not look sick. I remember the last day I saw him; it was a Thursday. When I returned to Coffee Bean a week a later, a barista told me the news. I closed my eyes and held my breath, forcing myself to recite it as a mantra. He is dead, but I still have time. What am I going to make of it? Looking back now, I wish he’d simply said, “Can I have this chair? My body hurts. I’m sick and might die.” But in truth, I am thankful for that yellow armchair and the bridge that formed between two people who could not have anything in common—background, fashion, politics, skin color, music, or even the best candy bar—together. After he passed away, I realized that the yellow armchair, in the middle of Orange County’s bustling lifestyle, was the only place where his future seemed ambiguous, but at the same time, it was where he appeared most comfortable. In the yellow armchair, he could forget about skeletal bodies and silenced whispers in his treatment center. Right before he died, he seemed even more apprehensive, lost in an isolated world filled with the scent of burnt coffee beans. Through an unexpected relationship, I learned that I have the ability to exude compassion by simply listening to someone’s story—though fleeting feelings are, sometimes, fatal—I aim to live with the familial richness that the yellow armchair and the old man bestowed upon me. Life is so short. But human connection is an essential ingredient that brews our experiences into (a not so bitter) “coffee.” It is that connection that makes life last a bit longer. It does. It truly does.